There are a number of factors to take into consideration when placing the hairs in the recipient area. Of particular importance are the direction of growth, growth angle, the curve of the hair shaft and the placement of a natural pattern of the hair. These factors must be taken into account when deciding how to create the most natural result possible. Since each follicular unit is individual and varies in size, we use different blades and to create custom reception slits of varying width and depth to the follicular units. 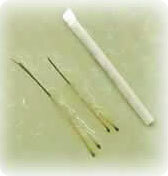 The width of the blade is very small, about 0.6-1 mm. Since follicular units vary in size, from a 1 hair to 4 hair unit we use custom-made blades to compliment the size of the FU´s width and depth, varying between 0.6-1 mm. 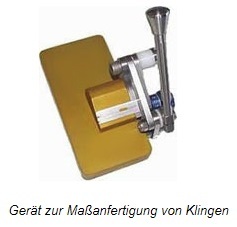 Our use of custom-made instruments also promotes speedier healing in the recipient area; the use by some of standard tools have to be large enough to facilitate the larger FU´s so do not take into consideration the variant in sizes or depth of the slit that needs to be made. Custom blades allow for greater precision of placement, allowing for larger sessions to be performed and higher densities placed, whereas standard tools restrict the density that can be placed due to circulatory disorders when trying to place too high a density. The curvature of the hair shaft must be considered as an important factor in the placement of each follicular unit. The curvature should not be mistaken with the direction or angle of the hair, but is a property of the individual hair. If at the time of placing the hair the natural curvature is taken into consideration a greater coverage per hair can be achieved, around 30% higher. The correct lay of the hair will also later impact on the natural appearance when styling the hair as each hair will follow the curve thus blend with the surrounding hairs naturally. To detect the deflection of the hair shaft and to take into account correctly later is all the more difficult, the shorter is the donor’s hair. 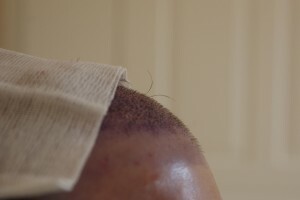 Since the removal of the donor stripe hair is left slightly longer than the individual removal of the bend can more easily be detected and considered significant. It should be noted that the choice of method of obtaining donor hair is not only a difference in the extraction, but also in the subsequent implantation and thus makes the result. 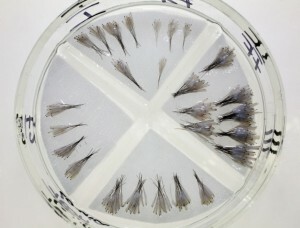 Make the distribution of donor hair so that a natural result is preserved or reconstructed. The necessary, artistic ability is not self-evident and difficult to meet. We recognized the importance of technical finesse, precise restoration of growth directions, growth angles, bending of the hair shafts as well as the value of design, strategy, and natural patterns understood and put this very successfully for more than ten years. Thus, we achieve continuous, dense and very natural-looking results. Our experience has shown that a natural result can only be achieved in combination with the right method transplant high quantities. And that’s the point, when one speaks of “mega-sessions”. The term means to achieve a maximum of transplants and optimum density in the shortest possible time. Read here how important is the size of the first treatment.